Fall is here. It’s time to start exchanging your sandals for boots, your tank tops for rain jackets. Every year we go through the ritual of moving one season out and moving the new season in. It makes sense to move your summer clothes to the back of your closet when you won’t be wearing them for the next few months. It also makes sense to clean them and ensure they are in good condition before you tuck them away. It’s a natural progression of making sure everything is in top shape before you store it for the next few months. That same can be said for other things around your home. It’s time to perform a few essential maintenance items to ensure everything is ready for the coming season. It’s time to put your air conditioner into hibernation and turn on your heating system for those cool mornings. 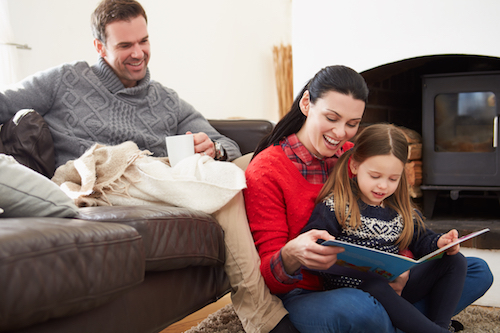 It’s time to ensure your HVAC equipment is safe and well maintained to keep your family warm and healthy all year long. It’s time to increase your efficiency to help you save as much as you can on your utility bills in the coming winter months. No matter if you’ve just moved into your Vancouver home or have been living there for years, home is a place where peace of mind is everything. Who wants to worry about equipment that doesn’t work or utility bills increasing exponentially? Or worry if their family is breathing in noxious chemicals from a leaking pipe? When the temperatures start to drop, most people flip the switch on their air conditioner and begin to think about their furnace instead. It’s when we get the most calls for scheduling annual heating system tune-ups and cleanings; it’s a proactive thing to do. Yet what many don’t consider is why it’s equally important to ready your air conditioner for the tough few months ahead. To start, it’s all about timing. If you have an HVAC professional out for your heating system annual cleaning, it’s easy to tack on an air conditioning service call as well. This gives your HVAC technician a chance to look at the entire system and evaluate its efficiency to heat and cool your home. If you wait or decide to service each system separately, the warm weather has a way of sneaking up on you, and the process slips your mind. You do remember some of those ninety degree days in the middle of April, don’t you? Vancouver weather is always changing; we never know when we’ll be moving from heating to air conditioning, and back again. By servicing both units together, you’ll ensure your entire system – heating, ventilation, and air conditioning – are working well together as one. You’ve used your air conditioner heavily throughout the season. It’s been running continuously, pumping out cool air into your home for weeks on end. And when any appliance works non-stop for long periods of time, things change. Parts wear out. Damage can occur. If you service your air conditioner at the end of the season, a technician can replace worn out parts and fix issues before they have a chance to sit and continue to worsen. On that first cool morning, your mind naturally drifts to a warm, cozy home. That’s the most natural time to call in an HVAC professional to help ensure your Vancouver home is in top shape for the season ahead. No matter how you warm your home – a heat pump, ductless heat pump, or high-efficiency furnace – if it’s not in top condition when you turn it on, you risk not having it work correctly when you need it most. We all remember the cold spell we had just last year; days of freezing temperatures with ice forming everywhere keeping us homebound. Imagine tackling that without heat in your home. Not a pleasant thought, especially if you have small children or older adults in your home. By having an HVAC professional check your system out early, you’ll ensure your heating equipment is in proper working condition before the coldest day of the year arrives. They will ensure fans are operating and blowers work properly. They change out air filters and ensure efficiency. They make recommendations and give advice. By choosing a reputable HVAC company, you’ll only hear good advice at the end of every service call. They won’t recommend replacement just to further a sale. They’ll provide you with recommendations on how to save your equipment and how to ensure it stays in top shape to keep you comfortable all year long. If you have a ductless heat pump, this is an HVAC device you will want to have checked out by a professional for seasonal maintenance in both fall and spring, as it’s a necessary component in your home providing both heating and cooling functions. This quiet, efficient option is also a huge money saver as it cuts current energy costs by 20-70%. So, if you are looking to upgrade or replace your HVAC system, consider this newer system moving forward. Did you know that heating water for your home accounts for as much as 18 percent of your home’s energy use? It’s not something to leave to chance, especially as you watch your utility bills continue to escalate. As the temperature drops, your family will begin to demand more hot water. Nothing feels better on a cold morning than stepping into a hot, steamy shower. Nothing is worse than waking up to a water heater that no longer works. In many cases, water heaters are considered the forgotten home appliance. They sit in the basement, a crawlspace, or a closet, out of sight, out of mind. It’s only when a disaster happens and we have no hot water – or worse, a flood – do we think twice about its effectiveness. But even a water heater needs a little TLC. A water heater will last 8 to 12 years. And if you have it serviced on a regular basis, you will help extend its life. The U.S. Department of Energy now requires all water heaters manufactured to meet a higher energy factor rating. This includes all water heaters manufactured after April 15, 2015. This means if your water heater is more than a couple of years old, there is potential to increase efficiency by upgrading your water heater. Finally, consider upgrading your thermostat to give you more control in your home. Today’s smart, programmable thermostats provide you with all the tools you’ll need to have a comfortable home twenty-four hours per day. We recommend them to all of our customers because they’re easy to use and help save you money, too. The best place to start is by programming according to your daily schedule. Turn on the heat a few minutes before you rise to heat up your home. Program it to adjust a few minutes after you leave for work to save money while nobody’s at home. You can program it differently for different days of the week. Why turn on the heat on Sunday’s when everyone sleeps in? And the best thing about investing in a smart thermostat is you’ll have the ability to control your HVAC system from anywhere in the world. With Internet access, you can adjust the temperature of your home, have friendly reminders when it’s time to change the filters, even receive reports on the efficiency of your system. No matter what system you have, we’re here to help ensure your home is a safe, comfortable, and healthy living environment every day of the year. What can we do to help you with your HVAC needs?